Exciting sequel to the Clutter hidden-object game. Is there a better alternative to Clutter II: He Said, She Said? 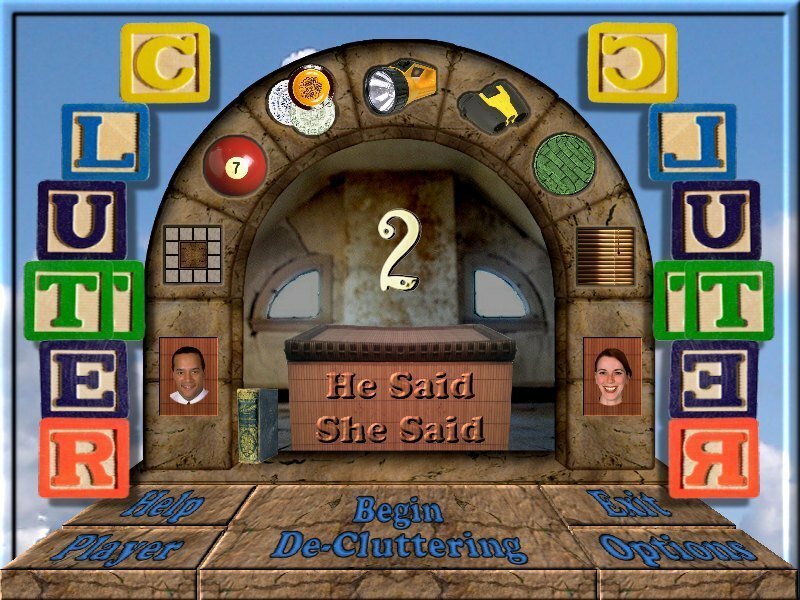 Is Clutter II: He Said, She Said really the best app in Adventure category? Will Clutter II: He Said, She Said work good on macOS 10.13.4? In Clutter II: He Said, She Said, the clutter is back and it needs to be cleaned! Everything you loved about Clutter and more is included in this exciting sequel! More levels, more variations, and more addictive than before. Everything is re-playable, even the mini-games! Adventure through 12 new lands as you try to put everything back together again. The randomly-generated puzzles will give you hours of new challenges and gameplay. Will you be able to clean up the Clutter? Clutter II: He Said, She Said needs a review. Be the first to review this app and get the discussion started! Clutter II: He Said, She Said needs a rating. Be the first to rate this app and get the discussion started!